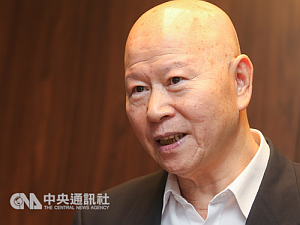 President Xi Jinping (習近平) is not impossible, even without her recognition of the “1992 consensus,” Hsu Hsin-liang (許信良), former chairman of the ruling Democratic Progressive Party (DPP), said Thursday. “As long as Xi is willing to meet with Tsai, there could be such a meeting, whether or not recognition of the ‘1992 consensus’ is set as a prerequisite,” Hsu said. “It’s not the DPP that does not want to accept the ‘1992 consensus,’ but rather it’s a large number of people in Taiwan,” Hsu said at a seminar sponsored by the Ma Ying-jeou Culture and Education Foundation to mark the third anniversary of Ma’s historic summit with Xi in Singapore in 2015. Describing Tsai as an elite rather than a staunch supporter of Taiwan independence, he said the DPP would have gone down if it has accepted the “1992 consensus,” given that the party had long refused to recognize the tacit agreement between Taiwan and China.